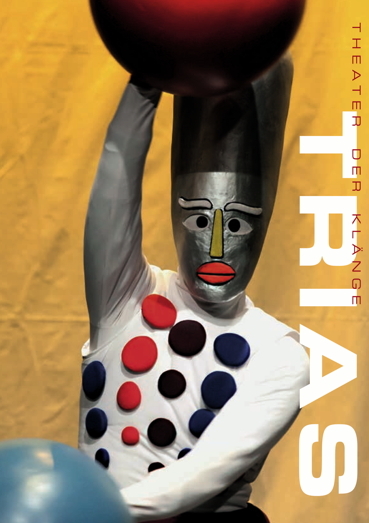 For the new interpretation of the "triadic ballet" from Oskar Schlemmer by the THEATER DER KLANGE in 14/15 the composer and musician Thomas Wansing was asked by the theatre to create a completely new incidental music for all 12 sentences of the ballet within the running rehearsals. The new compositions of a music for a "triadic ballet" in 2014 went out from the situation, Schlemmer had in 1919. Few non amplified instruments (piano, solo instrument, percussion), which play live together for the dances. Besides, any sound-producing was permitted (also new ways to play the instruments) which can be generated directly with these instruments. This always in direct dependence or as a rhythm and impulse giver for the dancing figurines. In the "abstract" scenes increases the sound by careful use of electronic modulations of the instrumental sounds. The music was simultaneous codeveloped and "tailor-made" by the composer Thomas Wansing for each scene as a piano-korrepetitor in the rehearsals for the ballet in the studio of the THEATER DER KLANGE in winter 14/15. In the third act the music increases after the respective scenes around a short part in concerto form, which are also given in the live performances. For the publishing on CD the composer has fortified the instrumental studio recordings partially with sound samples and additional percussion in the editing to give more density and depth to the sound impression than this is possible in the live performances with only 3 musicians.